WhatsApp announced last month the worldwide roll-out of stickers, a new way for its users to express themselves. The company also announced support for third-party sticker packs meant to enable developers and designer to created stickers for WhatsApp. 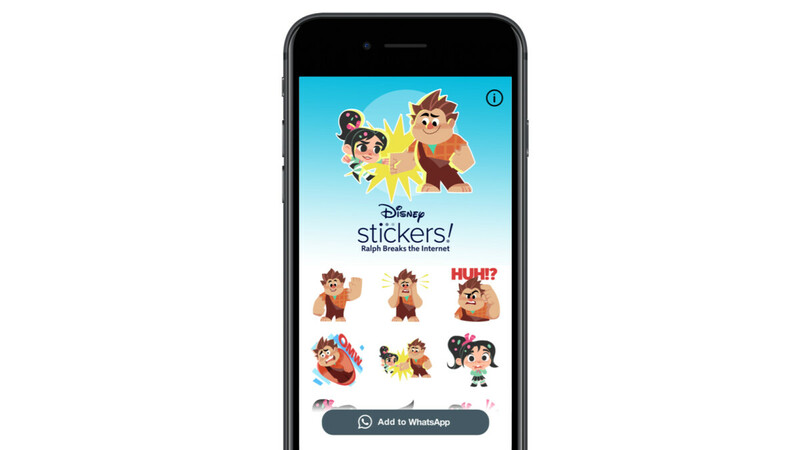 One of the first third-party developers to launch WhatsApp stickers, Disney has just announced that starting November 21 it is releasing a “Ralph Breaks the Internet” personalized sticker pack for iOS and Android devices. In addition, Disney offers a WhatsApp Business Account to provide fans with the chance to meet Ralph and Vanellope, as she teaches him how to use TextSpeak, emoji, send photos, and more. Furthermore, WhatsApp users will receive a notification when the tickets for the “Ralph Breaks the Internet” movie go on sale. The new “Ralph Breaks the Internet” stickers for WhatsApp are now available for download via App Store and Google Play Store for $1.99. On a side note, The sequel to Disney's “Wreck-It Ralph” debuted in theaters on November 21, the same day that the sticker pack was made available to Android and iOS users.